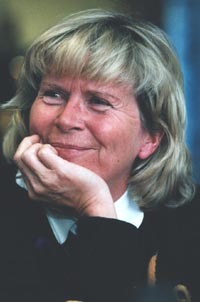 Dr. Bodil Jönsson is professor of rehabilitation engineering and head of research at Certec, the Division of Rehabilitation Engineering, Department of Design Sciences at Lund University, Sweden. She founded Certec in 1987. Her background is in physics in which she received her Ph.D., taught and wrote textbooks. She has also contributed to public debate and written extensively on environmental concerns. Current areas of interest are IT and learning, especially the benefits of new technological and educational concepts for people with disabilities. She is in the process of establishing the research program, Pace-making, which focuses on stress-related illnesses, their causes, consequences and cures. The last fifteen years she has received numerous awards in the areas of education and science including the 1999 Swedish Royal Institute of Technology Prize. Over the years she has also made radio and television appearances as well as numerous public speaking engagements. To the general Swedish public she is well known from the television program, Ask the Experts in Lund. She is the author or co-author of several books, some on more general topics and others with a direct connection to physics, the environment or disabilities. It is through her books that she has reached a truly great number of people, especially the book Unwinding the Clock: Ten Thoughts on Our Relationship to Tim, 1999, Harcourt, which has been translated into nine languages including Danish, Ti tanker om tid, Rosinante; Finish, 10 ajatusta ajasta, Tammi; French, 10 considérations sur le temps, Gallimard; Italian, Dieci pensiere sul tempo, Grandi Tascabili Einaud; Dutch, Mijn grootmoeder had nooit gebrek aan tijd, Arena; Norwegian, Ti tanker om tid, PAX; Spanish, Tiempo al tiempo, Grijalbo; and German, Zeit, Kiepenheuer & Witsch. The book is under contract to be published in Great Britain, Israel, Catalonia (Spain) and Korea. Den obändiga söklusten (The Unyielding Desire to Search) with Karin Rehman, 2000, Brombergs. Tankekraft (The Power of Thinking) , 2001, Brombergs.